PLEASE NOTE: This recipe requires 24 hours of preparation! - Add 1 sliced orange, cinnamon sticks, and whole cloves. - Cover and let soak for a day. 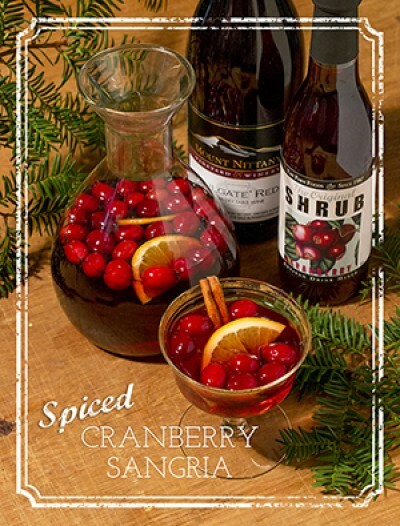 - Before making sangria, strain the shrub mixture and discard the fruit and spices. - Add the Tailgate Red wine, 1 sliced orange, cranberries, sparkling water, and ice. - Stir and serve immediately.